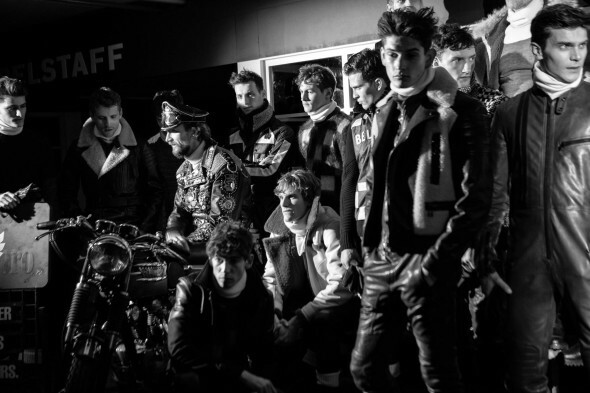 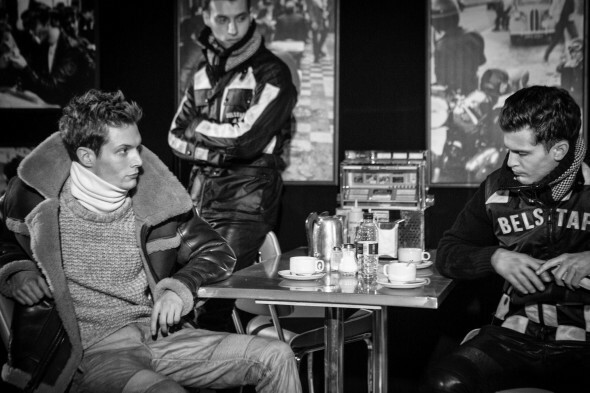 When Belstaff chose a Top-Up Boy theme for its AW15 menswear range, it planned to debut the collection to hundreds of the world’s top style commentators and buyers in a very special way – and the high-end fashion brand chose Planet Sputnik to help lend an authentic 1950s Rocker feel to the proceedings. 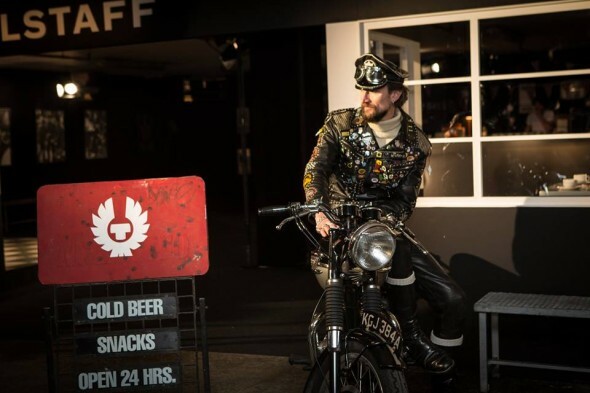 To give the launch event – which was held in January 2015 – the right period vibe, the label custom-built a pop-up ’50s-style biker cafe in an underground car park next to the Houses of Parliament in central London. 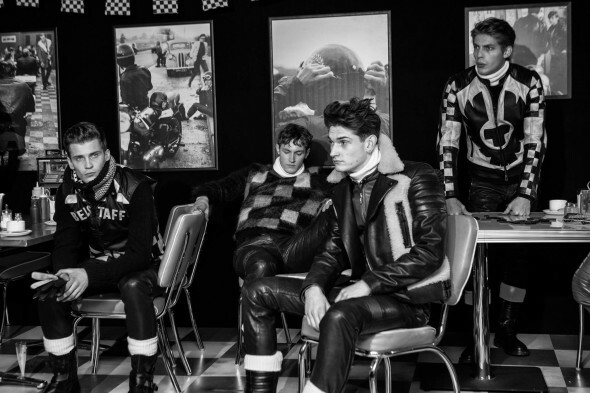 This was kitted out with diner-style furniture, black ‘n’ white chequerboard decor, a jukebox, vintage images on the walls and a ‘gang’ of handsome male models sporting choice pieces from the new collection. 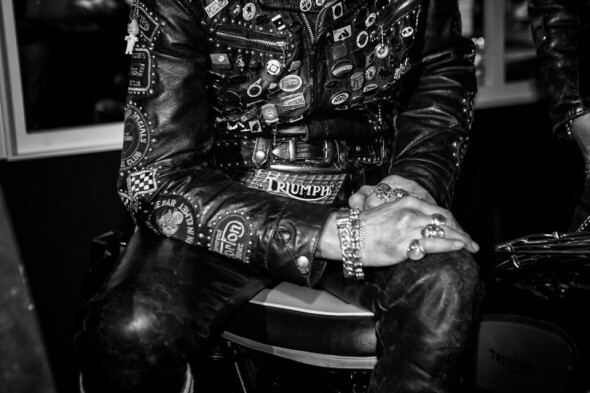 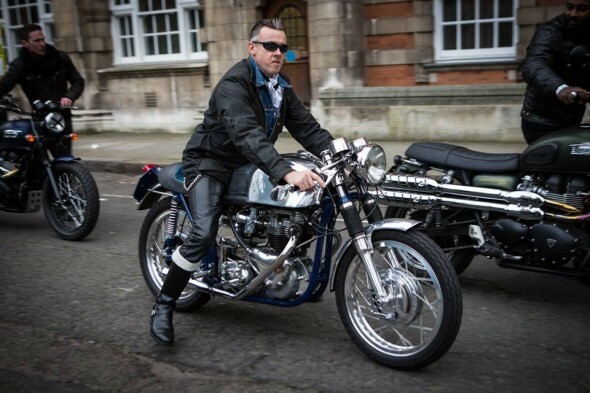 What was missing from the vintage-inspired set was some genuine Rockers – guys who really do own and ride motorcycles from the golden Ton-Up era of the 1950s and ’60s, who live in studded black leather and denim, and who regularly dice with death on London’s streets for the love of speed. 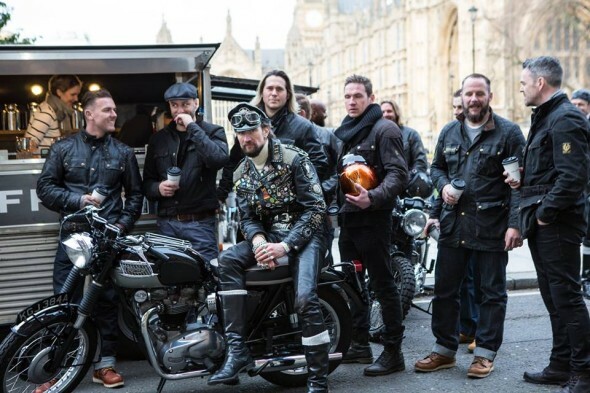 That’s where Planet Sputnik’s guys roared in on their classic Triumphs, Nortons, Harley-Davidsons and Hondas. 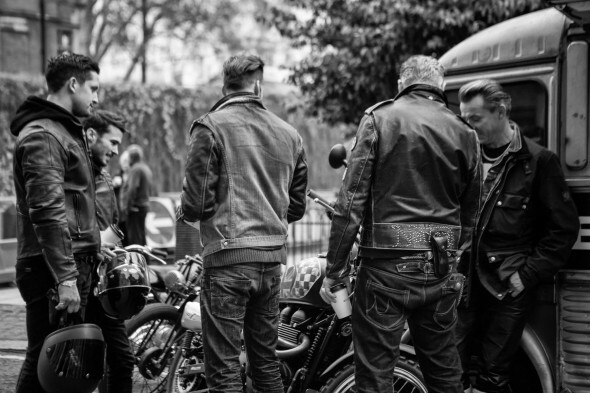 We worked with creative agency My Beautiful City to find the right mix of cool bikers who have their own individual personal style and machinery. 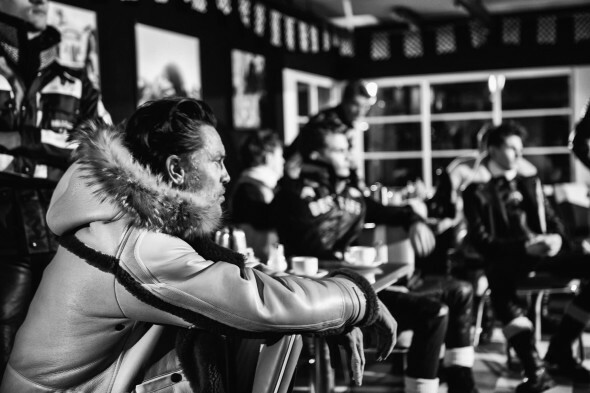 As a result, our guys Jake, Thomas, Nick, Dixie, David and Mark were featured in print and online around the world, alongside a crew of top custom builders and riders sourced by official Belstaff photographer Merry Michau. 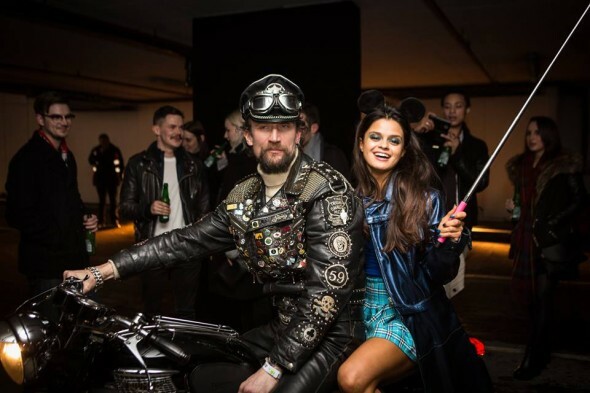 Jake with fashion blogger Bip Ling – and her selfie stick! 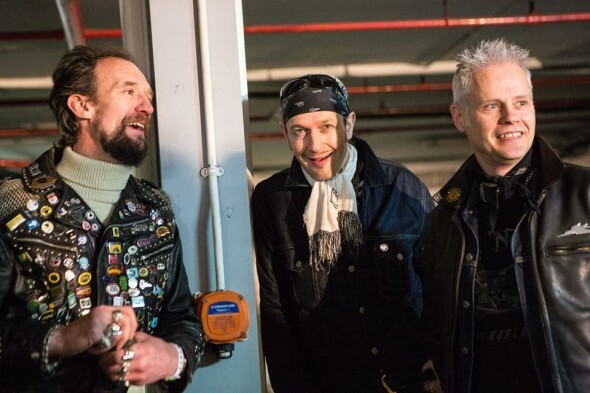 Check out this short official promo of the event, featuring a soundtrack by indie rock/synthpop band The Propellers, who also performed live on the day.